Growing up in El Paso, Texas, in the 1960s and '70s, Deb Niemeier would watch as the nearby Asarco copper smelter belched its smoky plumes, blanketing the city in a murky haze. Decades later, amid concerns about heightened local levels of lead, zinc, and arsenic, the truth emerged: Asarco had been illegally burning hazardous materials. Niemeier, now a AAAS Fellow, says the notorious polluter spurred her career. "It was just so awful," she says. "That's probably where it started." Niemeier teaches civil engineering at the University of California, Davis, but at heart she is still an activist. Civil engineering just happens to be her soapbox; sustainable design is her rallying cry; advocacy for communities on the wrong side of progress—like her El Paso neighbors—is her cause. Gifted with a quick, wry wit, Niemeier is anything but a dogmatic thinker. Instead, she's flexible, even playful, while still being down-to-earth. That's because—in true engineering fashion—Niemeier's work is about finding solutions in the here and now. For over two decades, Niemeier has rigorously studied transportation and its accompanying pollution. Her work has changed how researchers think about tailpipe emissions and has informed California emissions and air-quality policy. Now, Niemeier is expanding her research and advocacy by working to transform engineering education to include sustainability, and to provide scientific know-how for environmental and social justice advocates. But before all of this, her big research interest was the hows and whys of driving behavior. Niemeier's early career focused on transportation modeling. From predicting driver behavior to considering projected population growth when adding capacity to existing roadways, transportation modeling has long informed where and how infrastructure gets built. After doing this work for decades in both the public and private spheres, Niemeier decided that, "I wanted to do something more impactful." So, in the early 1990s, she left her job at a large engineering firm to earn a Ph.D. and soon landed at UC Davis—just as landmark attempts had begun to rethink national transportation policy. As part of the Intermodal Surface Transportation Efficiency Act (ISTEA)—legislatively linked to the Clean Air Act—lawmakers wanted data on how predictions (and possible changes to) driving behavior could predict (and possibly change) emissions from tailpipes. State lawmakers in California sought expert advice. However, there was a problem: Transportation and tailpipe emissions research were two very disparate fields. Enter Niemeier. Niemeier had expanded her research gears to include mobile source-emissions modeling, so when researchers began advising the state of California on how to link ISTEA and the Clean Air Act, Niemeier had the right expertise. She had found her research niche: roadside pollution. 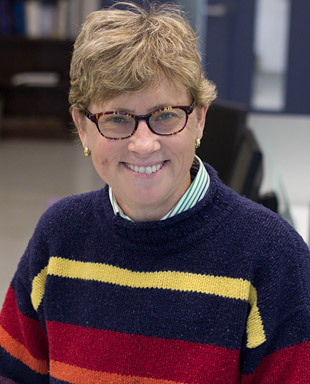 Among her impactful work, Niemeier and colleagues embarked on an extensive program of research on emissions modeling and minimum acceptable distances from roadway edges for sensitive populations—schools, for instance. It's long been known that living close to busy streets and highways increases the risk of exposure to tailpipe emissions. It's also well known that this exposure decreases as the distance away from roadways increases. Niemeier and colleagues' efforts revealed that previous estimates of safe distances weren't nearly far enough. Her findings on the levels at which roadside emissions eventually fade into background pollution has led to, among other rules, a California law that requires that schools be built at what the data show is an acceptable distance from busy roads. Her other fieldwork included a six-year investigation into particulate matter hotspots in California, leading to new air-quality standards for the state. These days, Niemeier is pushing the field of engineering to be more environmentally sustainable and socially just. She has written extensively about ways to reform engineering, including a recent paper in Science on transforming engineering to meet global health needs. She also serves on numerous sustainability-related boards, here and abroad. Niemeier has put her words into action by founding an engineering program, Sustainable Design Academy, at UC Davis. The program is designed to get students thinking sustainably. Her students' projects include writing a climate plan for the city of Woodland, California, to using low-cost accelerometers—similar to those in smart phones—to access when bike paths need repaving. "We train our engineers for surplus and if one thing breaks down everything breaks down," explains Niemeier. That approach, she says, does not work in the infrastructure-poor developing world and often doesn't work here in United States, which has been slow to fund needed infrastructure projects. What is needed, says Niemeier, are low-cost, environmentally considerate solutions tailored to local needs and constraints: the very ethos of sustainable design. Much of Niemeier's latest passion involves the engineering firm she and her colleagues founded to provide environmental and community advocates with low-cost engineering advice. A recent project has even taken her back to Texas, this time to Corpus Christi, where her firm is aiding a local community that is being displaced by a transportation project. Niemeier says if her career has a theme, it's a simple one: "I'm trying to speak on behalf of people who have no political power."